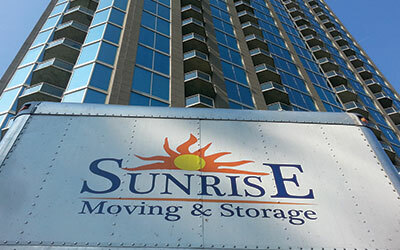 Sunrise Moving and Storage, proven Atlanta commercial movers, have successfully managed budget-friendly relocations for many companies, big and small, in metro Atlanta and the surrounding area. We are the expert Atlanta commercial movers with the experience needed to handle office move, laboratory moves, hotel FF&E delivery and installations, storage and distribution, library relocations, and so much more! An office move is a time consuming task and a significant undertaking for any company, large or small. Whether you are moving from floor to floor, down the street, or to another city, you need a moving company that will be up and running with no delays. So is taking yourself or any of your employee’s away from normal duties to take on this venture, really an option? Will your busy schedule permit you to attend to all of the details needed to ensure a smooth office move so that your company is up and running without interruption? Our Atlanta Commercial Relocation Consultants can provide you with the specific details that will make your office move successful. Our Relocation Consultants will meet with your team to assess your business’s relocation needs and put together an effective relocation plan. Prior to the actual move, our Specialists can help you plan all aspects of the project and work with your personnel to ensure a smooth transition. Our Move Specialists are experienced and thorough with thought given to every detail. The key to any successful office move is the proper equipment (i.e. sufficient quantities of dollies, trucks and men), along with the pre-planning and coordination before the relocation, which allows the move to go as smoothly as possible. 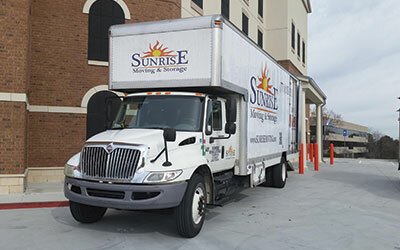 Once you have made your choice to engage Sunrise Moving and Storage, our relocation specialists will meet with your project administrator or staff to identify your priorities, then plan your move appropriately. Our professional Atlanta office movers can efficiently and effortlessly relocate your business, from a small start-up to a large firm, to any destination throughout the greater Atlanta area. 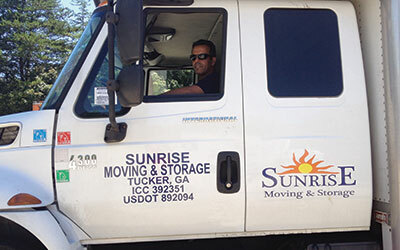 Our Atlanta commercial movers are knowledgeable, efficient and productive. As an Atlanta office moving company, we provide a wide variety of commercial moving services to fit any unique requirement your business may need. Contact us today to schedule a no cost/no obligation On-Site meeting with one of our Atlanta Commercial Relocation Consultants!